Come join the West Coast Chapter's 4th Annual Sporting Clays Tournament at Fishhawk Sporting Clays. 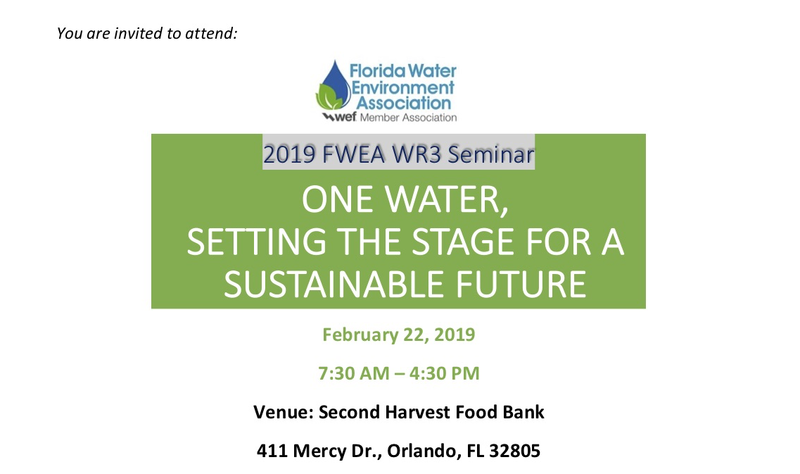 Training workshop for FWEA's volunteer leaders. Invited are current and incoming chapter and committee chairs along with all members of the Board of Directors. This is the regular meeting of the FWEA Board of Directors. The meeting will take place immediately following the conclusion of the Leadership Development Workshop. 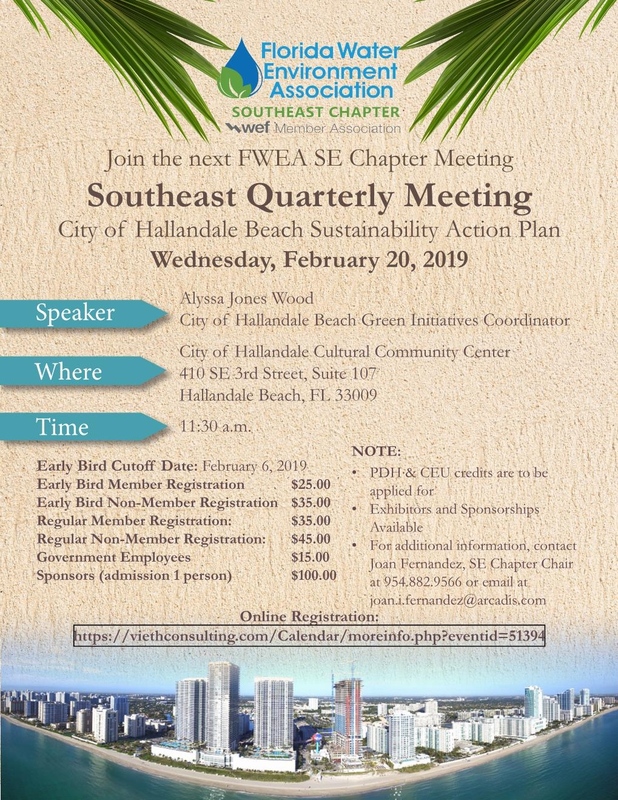 The FWEA Biosolids Committee invites you to learn about the latest technologies and processes in Biosolids Management. Regular conference call to provide update on activities and plans ahead. This is the deadline to submit nominations for the Earle B. Phelps Award. Visit the Awards Page for details. Join us for the 6th Annual Sporting Clay Shoot at the Saltwater Shooting Club! Shooters of all skill ranges welcome! See event flyer for more details. Ivana Kajtezovic is the Planning Program Manager for Tampa Bay Water. She has been with the agency since 2008. Her duties include management of the agency’s long-term water supply planning program, serving as liaison with local and regional government planning officials, and direction of the agency’s land-use and development review program. Ivana’s project management responsibilities at Tampa Bay Water include the feasibility of several Master Water Plan projects. These projects include the expansion of Tampa Bay. Water’s desalination and surface water plant facilities. Ivana holds two bachelor’s degrees and a master’s degree from the University of South Florida. Tampa Bay Water is a wholesale supplier of water in the Tampa Bay region, serving more than 2.35 million customers through its six Member Governments. The system is comprised of several wellfields with an average annual permitted capacity of 120 million gallons per day (mgd), several groundwater treatment plants, a 120-mgd surface water treatment plant, a 15.5-billion gallon reservoir, a 25 mgd desalination plant, and miles of large diameter transmission main that serve the Member Governments. Tampa Bay Water was originally a single-source groundwater system but began diversifying its water supply portfolio in the late 1990s to include surface water supplies and desalination to meet the region’s growing demands and reduce reliance on groundwater; this diversification was achieved by way of the Long-Term Master Water Plan (LTMWP). Every 5 years, Tampa Bay Water updates the LTMWP to ensure the provision of adequate supplies over a 20-year planning horizon, considering annual forecast demand analyses, available supply, climate variability, permitting, public input, project costs, and infrastructure needs. For this 5-year cycle of the LTMWP, it is estimated that new sources of supply will be needed by the 2028. Following the completion of the 2018 LTMWP, the Agency is undergoing feasibility studies on potential new water supply projects. Several FWEA awards are due on this date. Join us for a fun joint networking happy hour at Deadly Sins Brewing and network with other industry professionals. We look forward to seeing you! Come join us at the Backwoods Bistro in Tallahassee on Thursday, February 28, at 6:00 PM as the Big Bend Chapter of FWEA hosts its Annual Awards Banquet. The Chapter will present the Thomas P. Smith Award to an individual in recognition of individual leadership, contribution to the advancement of wastewater design, operations or regulations, and demonstrated willingness to help others solve problems. Please come and see who this year’s deserving awardee will be! Cost is only $41 per person (we encourage you to bring your significant other). Included in the cost is dinner (six entree choices available, see Menu link) with sides and a house salad and beverages such as sodas, water and iced tea. Also included will be an offering of domestic beers and select wines with use of drink tickets (two issued per attendee over 21). Please bring cash if you wish to make purchases beyond this offering from the bar. Also, there is a vegetarian option available as part of the six entree choices.